Does your sleeve feel tight? 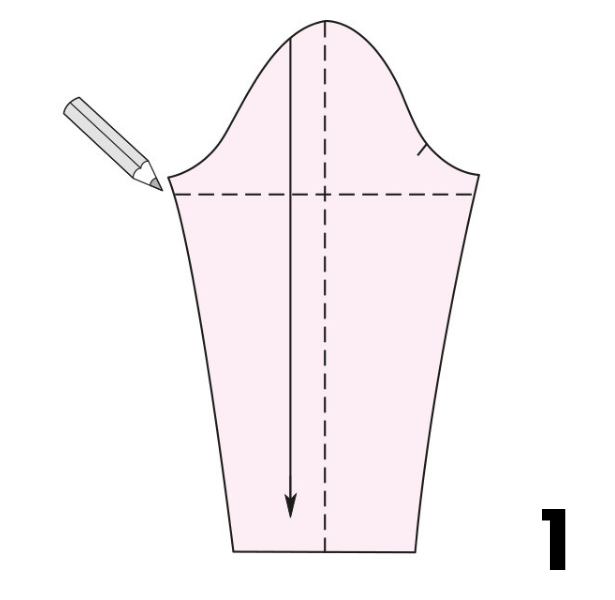 Here is an adjustment that you can do to your sleeve pattern before cutting out your sleeve, or re-cutting your sleeve for a perfect fit! 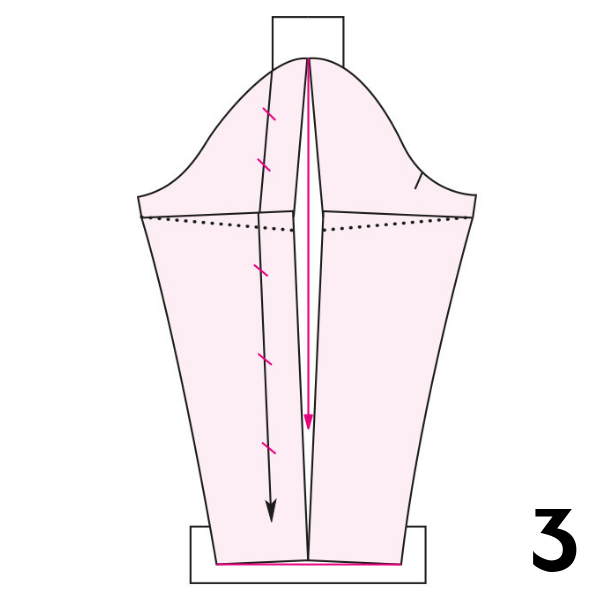 This adjustment will also not affect the armhole, so it will still sew in nicely to your bodice. 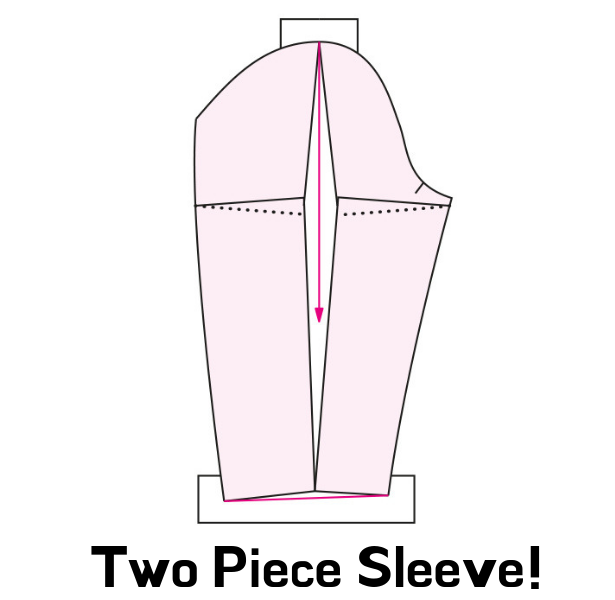 Draw two perpendicular lines on your sleeve pattern. Then first one being parallel to the grainline and start at the top notch, and the other horizontal line starting about 2cm down from your underarm point. Cut the cut piece along the vertical line from the hem to close to the upper edge (top notch) and on the horizontal line each close to the side edges (Tip: to not through!). Push the two upper sleeve parts apart by how much you want to add to the sleeve. So that the width of the lower sleeve edges (hem) does not change, put the two lower sleeve parts together again at the lower edge. The edges of the horizontal lines will slightly overlap. Make sure that the overlapping is even on each side, otherwise the sleeve is out of balance. Slightly straighten out sleeve hem line to take off the point created, and tape additional paper underneath the gap and tape everything down in place. Draw a new grainline exactly in the middle of the sleeve opening. 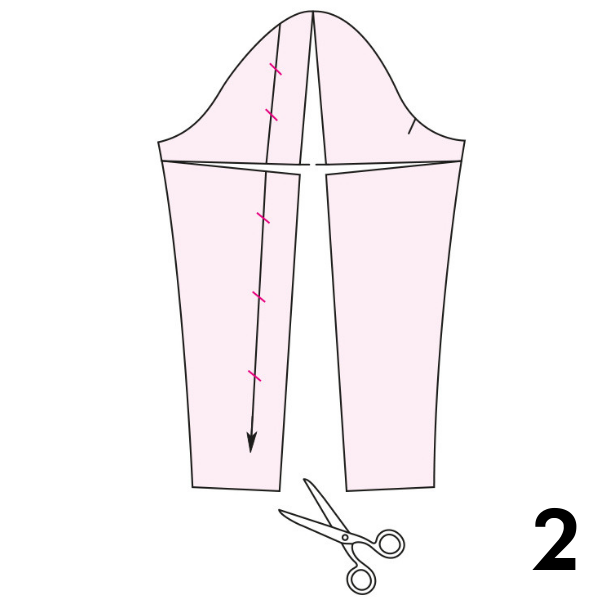 In a two piece sleeve, the width is inserted according to the same principle, but only on the upper sleeve pattern piece. The under sleeve piece remains unchanged.